Live at the #iaa: Stand D09 in Hall 8.0, press conference on Sept 12, 9:10 - 9:25 a.m.
Rüsselsheim/Frankfurt. 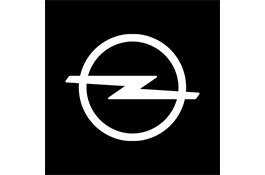 With the new brand credo “The future is everyone’s” Opel recently merged with PSA to create a true European champion. Visitors to the 67th International Motor Show in Frankfurt from September 14 to 24 can see first-hand what this means. A number of models with the Blitz make their world premiere at the Opel Stand D09 in Hall 8.0. Leading the way is the new Opel Grandland X, jointly developed by #opel and PSA from a proverbial white sheet of paper. With its dynamic, adventurous silhouette, top technologies, typical #suv qualities and generous space for up to five people and their luggage, it will be a true contender in the booming #suv segment. World premiere number 2, the new Insignia GSi with an extra-sharp chassis, and number 3, the new Insignia Country Tourer, will also spark excitement. While the #insigniagsi is a real sports machine for connoisseurs, the Country Tourer will appeal to Insignia fans who prefer a stylish, practical #stationwagon with off-road looks. Both feature the intelligent all-wheel drive system with torque vectoring – unique in this segment. And the individualists among #opel aficionados will be delighted to hear that the exceptional personalization concept Opel Exclusive is also being introduced. In addition, #opel will also debut the new large vans of the bestseller Vivaro at the show, including the Vivaro Tourer. They are ideal as highly versatile and comfortable passenger variants. For instance, the #vivarotourer with a rotating seat bench or swiveling individual seats in the second row and a folding table can be turned into a chic and practical business lounge in no time at all. All new models will be in the spotlight at the Press Conference with #opel CEO Michael Lohscheller on Tuesday, September 12, from 9:10 to 9:25 a.m.
“The new #opel brand claim ‘The future is everyone’s’ is a promise and an obligation. We stand for that and our products stand for that. Our world premieres at the #iaa show how we at #opel make innovative technologies in elegant and practical cars available for a broad audience. And with models like the new #opel #grandlandx we enter new market segments and offer our customers more choice than ever before. Come visit us at the #iaa and see for yourself,” is the open invitation from #opel CEO Michael Lohscheller. Modern, dynamic lines, a cool off-road look and the elevated seating position with good all-round visibility typical of an #suv, along with a host of top technologies as well as plenty of space and comfort for up to five passengers – this is the new #opel Grandland X. The portfolio of ultra-modern assistance and comfort features for the #grandlandx is first class: Automatic Cruise Control with pedestrian detection and Automatic Emergency Braking, Driver Drowsiness Alert, Advanced Park Assist and the 360° Camera are just some highlights. #opel again delivers on its commitment to leadership in lighting technology, equipping the #grandlandx with bright driving light thanks to Adaptive Forward Lighting (AFL) LED headlamps. And the newcomer offers driving fun all year round and on every surface. This is also thanks to the optional electronic IntelliGrip traction that ensures best traction and stable handling regardless of whether the #grandlandx is travelling on snow, mud, sand or wet surfaces. AGR-certified ergonomic front seats (Campaign for Healthier Backs), heated steering wheel as well as seat heating front and rear ensure top comfort. The tailgate that opens and closes with a simple foot movement enables easy access from outside. In typical #opel fashion, #grandlandx drivers and passengers enjoy top connectivity with the latest generation of Android #auto and Apple CarPlay compatible IntelliLink systems as well as the personal connectivity and service assistant #opel OnStar including Wi-Fi Hotspot and new services such as booking hotel rooms and searching for parking. Ideally equipped, the 4.48-meter long #grandlandx and third member of the #opel X family is a true contender in the booming #suv class and will further revitalize the segment. In the compact class alone, the #suv share has increased from seven percent in 2010 to nearly 20 percent today. At the same time, the #grandlandx expands the extensive #opel portfolio in the very popular compact car segment. Sharper, more precise, even more efficient. The new #opel #insigniagsi is a sports machine – as a limousine or #stationwagon – for those who like something special. A driver’s car for maximum fun on all kinds of roads. The standard FlexRide chassis with very dynamic set-up that adapts to prevailing driving style and road conditions in split seconds as well as the new Michelin Pilot Sport 4 S tires on 20-inch alloy wheels ensure an extremely high level of grip. The intelligent all-wheel drive with torque vectoring is unique in this segment – with this technology, the new #opel #insigniagsi responds even more directly and precisely to steering commands, offers top lateral grip for maximum stability and shines with exemplary traction. The new eight-speed automatic transmission can be operated via shift-paddles at the steering wheel for an even more active driving experience. Typical of the new Insignia generation is the combination of lightweight design, low center of gravity and 2.0-liter turbo power. This results in excellent balance and a very good power-to-weight ratio, virtues that are also reflected on the stop watch. “The new #insigniagsi is clearly quicker over one lap of the Nürburgring Nordschleife than the more powerful Insignia OPC of the previous generation,” concluded Director Performance Cars & Motorsport, Volker Strycek, during testing. One of the reasons is that the GSi limousine is 160 kilograms lighter than a comparable Insignia OPC 2.8 V6 Turbo. Just like a lean athlete. The new #opel #insigniacountrytourer rounds off the Insignia presence at the #iaa. Another top variant in the Insignia family, it captivates with its own special, tough charm also thanks to its stylish appearance. The silver colored skid plate helps to pull the car down to underline the solid stance. Molded black protective cladding around the lower vehicle body and the wheel arches emphasize the rugged appearance. The rear end also delivers adventurous cues, such as a silver colored skid plate and dual exhaust bezels that reinforce the wider impression. Matching the character of the rugged all-rounder, the new #insigniacountrytourer is above all extremely practical, also thanks to an optional sensor-controlled tailgate, standard roof rack as well as a wide portfolio of ultra-modern assistance systems, connectivity possibilities and comfort features. After being announced at the Geneva Motor Show in the spring, the #iaa in Frankfurt does the honors and raises the curtain on the first Insignia in #opel Exclusive trim. The personalization concept now allows Insignia buyers to choose exactly the color they want. Currently 15 shades are available in addition to the regular color portfolio; in the next months #opel will offer an unlimited amount of options. A daughter’s eye color or color-coordinated to the vintage car already waiting in the garage – all these shades can in future serve as the sample for customers’ own individual paint tone. And while the normal Insignia models feature a lot of chrome, the High Gloss Black Pack gives the Exclusive model an extra sporty touch with high-gloss black #opel grille bar and window trim strips, exterior mirrors and much more. And a complementary design from a range of light alloy wheels can also be selected. The Exclusive line will also soon be expanded with an even larger selection of leather interior options and decorative design elements – resulting in unique automobiles personalized according to their owner’s taste. In addition, every Insignia ordered as an Exclusive model comes with a host of standard trim features on top: Navi 900 IntelliLink with an eight-inch color touchscreen, Solar Protect heat-absorbing glazing as well as groundbreaking IntelliLux LED® matrix light are all on board. Last but not least, the new passenger #van #vivarotourer and another Vivaro newcomer make their premiere at the #iaa. Thanks to its numerous configuration possibilities, the Vivaro is already the most popular #opel commercial vehicle. With the new, especially comfortable and versatile passenger variants, the large, multifunctional #van now opens a new chapter. Always on board: first-class equipment and comfort similar to that offered by a passenger car, variable seat configurations for passengers along with innovative technologies and assistance systems up to Cruise Control with speed limiter as standard. In the passenger cabin it’s all about taking a seat and feeling comfortable. The new #vivarotourer is ideal as a first-class business lounge. The second row of seats with the “Easy Entry” function can simply be spun around on its rails by 180 degrees, creating an inviting face-to-face environment. The roomy #van is even more comfortable with two optional 360-degree swivel seats and folding table. Laptops and other mobile devices can easily be connected via USB ports and a 220 volt plug. LEDs in the headliner provide ample interior lighting. The #vivarotourer also features exclusive exterior looks accented by high-gloss black door and tailgate handles, tinted windows and 17-inch light alloy wheels.